I've recently read on consumeraffairs.com a lot of negative comments about PartyLite. I've been purchasing PL products since 1999 and LOVE them! I was approached to become a Consultant also at that initial time. Being skeptical, I looked into the opportunity and signed up a 1-1/2 years later. Since then, I have become a Leader & Trainer. I would like to address some of the common complaints that I read. I also want to say that Consumer Affairs has not done their homework. One comment from Consumer Affairs stated, "it's a multi-level-marketing scheme in which the money flows up and everything else flows downhill." They also defended customers against PartyLite when it was the Consultant who bore the responsibilities. PL Consultants OWN THEIR OWN BUSINESSES. We just happen to sell PL products. When you hire a plumber, you don't blame the company that makes the pipes when something goes wrong, do you? As far as some of the most common complaints, here goes. 1.) If a customer orders product that never gets delivered, PartyLite will guarantee it 100% as long as they have a receipt, JUST LIKE ANY OTHER COMPANY. Sometimes people get screwed over by their hosts (friends). Don't blame PL for your stupidity of not getting a receipt. 2.) All Direct Sales businesses charge shipping & tax. Some companies sell their products to their Consultants and they, in turn, re-sell the items with the shipping charge added to the price. 3.) You get what you pay for. NO candle on the market compares to PL quality and the tests prove it. That's a fact and not an opinion. In other words, you get what you pay for. 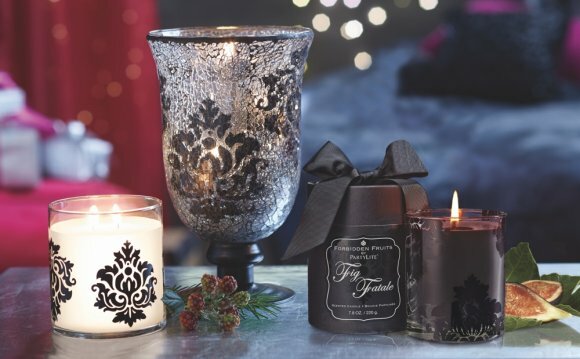 PL candles are made in the USA, last longer, burn at a lower temperature than any other candle to prevent accidental burns, are all natural, have fragrance and color throughout, and are lead-free. If a consumer wishes to buy foreign made candles and breathe in harmful chemicals and lead from their wicks, so be it! I just don't know why people can't take 100% responsibility for their actions. If you buy something, get a receipt. If your friend starts PartyLite and asks you to buy product or host a party, don't blame the company. Don't even blame your friend. Blame yourself for not having a spine to say no. Or just be happy that you helped a friend in need.